Animals come in all shapes, sizes, energy levels and grooming needs. Even pets of the same breed will possess different personalities, so speak with the adoption counselors. They work with the pets every day and know their personalities. Take your time getting to know your prospective pet in one of our Get-Acquainted Rooms. Consider an adult dog or cat. Adult animals arrive at shelters often because their former households have experienced a death in the family, divorce or layoff and can no longer care for them. Adult dogs often are housetrained, have lost their baby teeth and are finished with that “chewing” stage. There is also less guesswork about their grown size. Adult cats are usually less destructive than kittens since they have learned to retract their claws and usually prefer napping to climbing! Mixed-breed animals often have a lower rate of inherited physical ailments such as hip dysplasia prevalent in purebred dogs. However, if your heart is set on a purebred, check your local animal shelter first. Most animal shelters report that as many as 30 percent of their pets are purebreds given up because their families could no longer care for them. 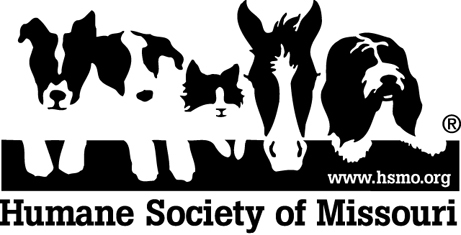 The Humane Society of Missouri offers a Breed Request service to search for dogs and cats BY BREED. Please scroll through our adoptable pet page to view available pets. Links at the bottom of the page will direct you to breed request forms for dogs, cats or other pets. Once you register for Breed Request, you will receive an e-mail if and when that breed becomes available. If you are looking for a puppy to be part of your family, first check your local shelter. Thousands of wonderful family dogs and puppies are available from reputable animal shelters and rescue groups. Nationwide 25-30 percent of the dogs available for adoption at shelters are purebreds. If you’ve first searched at your local shelters and bona fide breed rescue organizations and cannot find the dog of your dreams, then do your homework and find a reputable breeder. 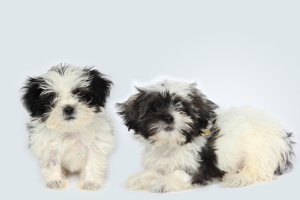 Buying from a sub-standard breeder or the pet stores they supply keeps puppy mills in business. In addition, if you buy a puppy from an internet website, more than likely it too has come from a substandard breeding facility where the parents are living in horrible conditions. Look beyond the license: Just because a breeder is licensed does not always mean it is a reputable operation. The best way to find a reputable breeder is to ask around. Contact your veterinarian, groomer, boarding kennel, dog training facilities and check out local dog shows and breed clubs. A reputable breeder is active in a local, regional or national breed club and possesses a deep knowledge about the breed. Insist on seeing the breeding facility: Reputable breeders house the dogs inside the home, as part of the family. One sign of a questionable breeder is that they will not let you see the facility in which your puppy was born. They instead offer excuses or suggest that you to meet them somewhere other than their home. Insist. It’s that important. Look for shiny coats and wagging tails. Ask to meet both parents (or at least the mother) of the puppy you are interested in. All dogs, not just the puppies, should be healthy, friendly and well-fed. Resist the doggie in the window. The cute puppies in the pet store window are almost certainly a product of a large-scale commercial breeding facility commonly known as a puppy mill. Often in these facilities the parent dogs are caged inhumanely, constantly bred in filthy conditions and receive little or no veterinary care. As a consequence, many dogs born in substandard puppy mills develop costly medical problems or die prematurely. Don’t get trapped in the Web. Be wary of purchasing any pet (dog or otherwise) via the Internet. When you buy a puppy based on only an Internet photo, you have no way to gauge the animal’s temperament to know if this actually is the animal you are buying or to see the where the puppy was born (see #2). You may be buying a substandard puppy mill animal, furthering the horrible suffering of the dogs there. If you find you cannot resist an Internet photo, see #5. Get references. Ask the breeders for a list of people who have purchased puppies from them and the veterinarian who cares for the breeder’s dogs. Get phone numbers and don’t hesitate to use them. Some Internet sites will purport to be rescue organizations; check them out carefully. The Humane Society of Missouri can put you in touch with local breed rescue organizations that can vouch for (or refute) the Internet site.